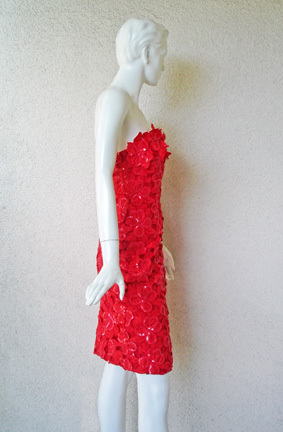 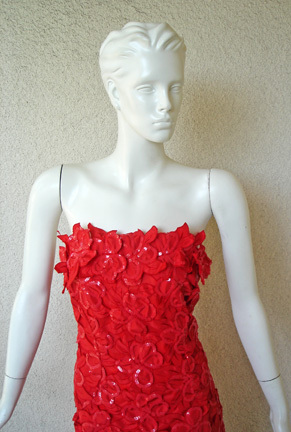 Arnold Scaasi circa 1988 strapless siren red silk dress with dimensional floral sequin applique overlay. 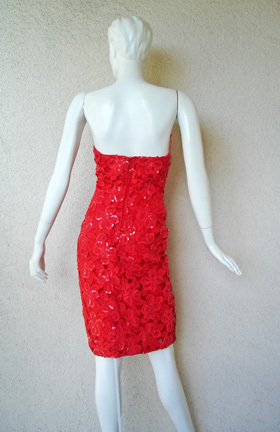 Fully lined with back zipper closure and boning support. 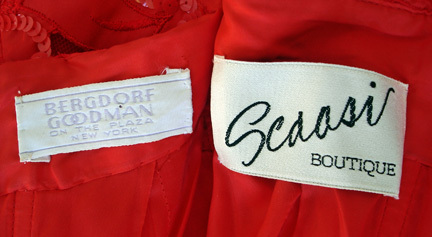 From Bergdorf Goodman New York. 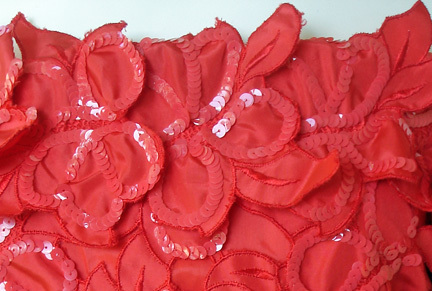 Similar designs in fabric and style can be found in the Arnold Scaasi's book "A Cut Above". 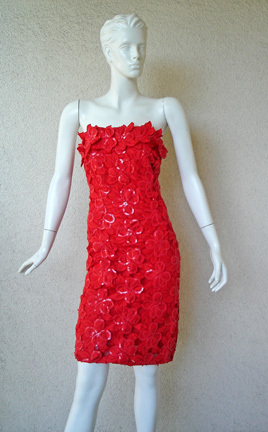 Size: 6; bust: to 32"; waist: 28"; hips: 36"; length: 33"
Condition, excellent with no wear.